Untreated mold growth can make your family sick, and it can also do damage to the structure of your property. What’s worse, without professional equipment it’s sometimes nearly impossible to remove the mold without allowing the spores to spread and take root in other areas of your home. 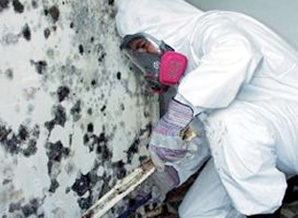 That’s why you need the mold removal professionals, Skyline DKI on your side! If you have any reason to suspect that mold is growing in your home, call the Illinois mold assessment and removal experts at Skyline DKI! Our team is highly experienced and they have all the most advanced mold removal equipment, so you can know that the growth will be completely eliminated from your property. Our Skyline team can fully remove the mold from your property. Call us today!